Susan Feldman is the founder of In The Groove, a new life-style destination for age-defying women. In The Groove is a community that celebrates and engages these women as the evolving and relevant women they are. Founded with a sense of humor, community, and self-awareness, In The Groove is on a mission to free women from rules, age limits, and expectations. Prior to In The Groove, Susan was the co-founder and visionary behind One Kings Lane, the go-to destination for home decor. One Kings Lane launched in March 2009 and an industry was disrupted. Today One Kings Lane is a daily source of shopping and design inspiration for millions of people both online and offline One Kings Lane was sold to Bed, Bath & Beyond (Nasdaq: BBBY) in June 2016. Susan remains a strategic advisor to the company. Susan has been featured in national publications including Elle Décor, House Beautiful, INStyle, New York Magazine, BusinessWeek, and The New York Times. She has appeared on Bravo’s Million Dollar Decorators and NBC’s The Today Show. Susan was named to Vanity Fair’s “New Establishment” list twice in the past six years. 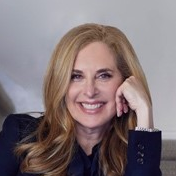 Prior to co-founding One Kings Lane, Susan held executive positions in the apparel industry—at Ralph Lauren Swimwear, Polo Jeans, Warnaco/Authentic Fitness Corp., and Liz Claiborne. Susan has an MBA from UCLA’s Anderson School of Management and a BA from Stanford University. Since 2013 Susan has served on the Parson Board of Governors.